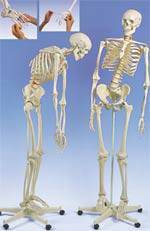 Half skeleton disarticulated model with 3-part skull & loose hand/foot. 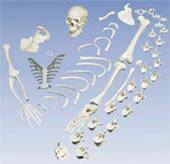 Disarticulated full human skeleton anatomical model with part skull. Stan the standard human skeleton hanging with 5 feet roller stand. Top of the line mini human skeleton.